ATLANTA - The Atlanta Braves have added experience to their bullpen by signing left-hander Ross Detwiler and right-hander Jason Frasor for the remainder of the season. Detwiler and Frasor are with the team for Friday night's game against the Cubs. The team also recalled outfielder Joey Terdoslavich and right-hander Ryan Kelly from Triple-A Gwinnett on a busy day of transactions. 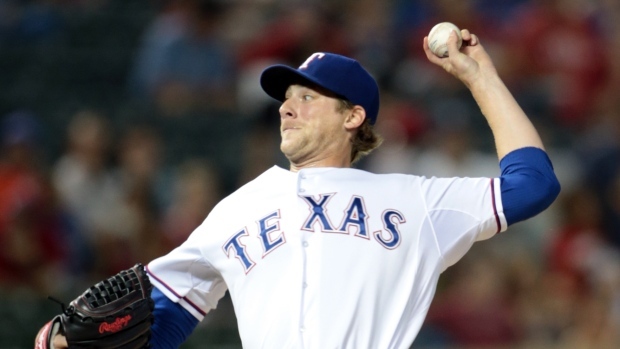 The 29-year-old Detwiler was 0-5 with a 7.12 ERA in 17 games, including seven starts, with Texas before his release on Wednesday. He pitched for Washington from 2007-14. Frasor was 1-0 with a 1.54 ERA in 26 games with Kansas City before his release on Wednesday. The 37-year-old Frasor has a 3.52 ERA for his career with Toronto, the White Sox, Texas and the Royals. Kelly allowed one run in one inning in a brief stint with Atlanta before being optioned back to Gwinnett on July 1. The Braves, who optioned right-hander Mike Foltynewicz to Gwinnett before the All-Star break, put closer Jason Grilli on the disabled list with a season-ending Achilles injury. Also, right-hander David Carpenter, who had a 7.36 ERA in four games, was designated for assignment and right-hander Jake Brigham was optioned to Gwinnett.